At all times you will be treated with courtesy, respect, and confidentiality. We shall explain all the treatments advised and if you did not understand, please ask. We can usually offer an appointment within 2 working days, but if you wish to see a specific doctor you may have to wait a little longer. Genuine emergencies will of course always be seen that day. The receptionist may ask you some brief details of the problem in order that she can pass the information onto the doctor so that urgency can be assessed. All such information is always treated in confidence. We undertake to see you within 20 minutes of your appointment time and if we are unable to do this you will be offered an apology and an explanation. It is preferable for young people under the age of 16 to attend an appointment with an adult. In certain circumstances it may be appropriate for a young person to see the GP or nurse alone. In return we ask that you treat the doctors and staff with the courtesy and respect offered to you. Please let us know if you cannot keep an appointment. Failing to do this simply deprives another patient of the chance to be seen. 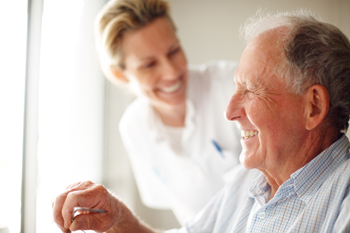 The Practice has a policy of zero tolerance of verbal and physical violence towards GPs, staff or other patients. The practice considers aggressive behaviour to be any personal, abusive and/or aggressive comments, cursing and/or swearing, physical contact and/or aggressive gestures. Working together to promote consistent quality care, meeting the individual needs of all our patients irrespective of social class, age, race, sexuality and religion. We do not discriminate on any grounds whatsoever. The practice has a responsibility under the Access to Health Records and Data Protection regulations. Patients have the right to access their medical records. All such access applications must be in writing and addressed to the Practice Manager in the first instance. Specific details must be given as to the extent of access required identifying dates of entries within the record. A copy of the information requested will be provided to you or you will be invited to come in and discuss the matter with the GP. Any confidential reference in your records to third parties will be deleted. In the extremely rare occasion of a record containing information harmful to the patient this will be deleted. 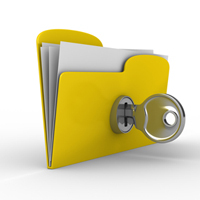 From time to time it may be necessary for a solicitor or insurance company to seek access to your health record. In these circumstances the Insurance Company or Solicitor must ask you to sign a consent form allowing us to release this information. Please be assured that without the proper consent form information will not be released. You do have the right to see this information before it is sent off to a third party but you must indicate you wish to do this on the consent form. The Practice operates a Publication Scheme in compliance with the Freedom of Information (Scotland) Act 2002. Details of the scheme or a request for access to publications should be made to the Practice Manager.